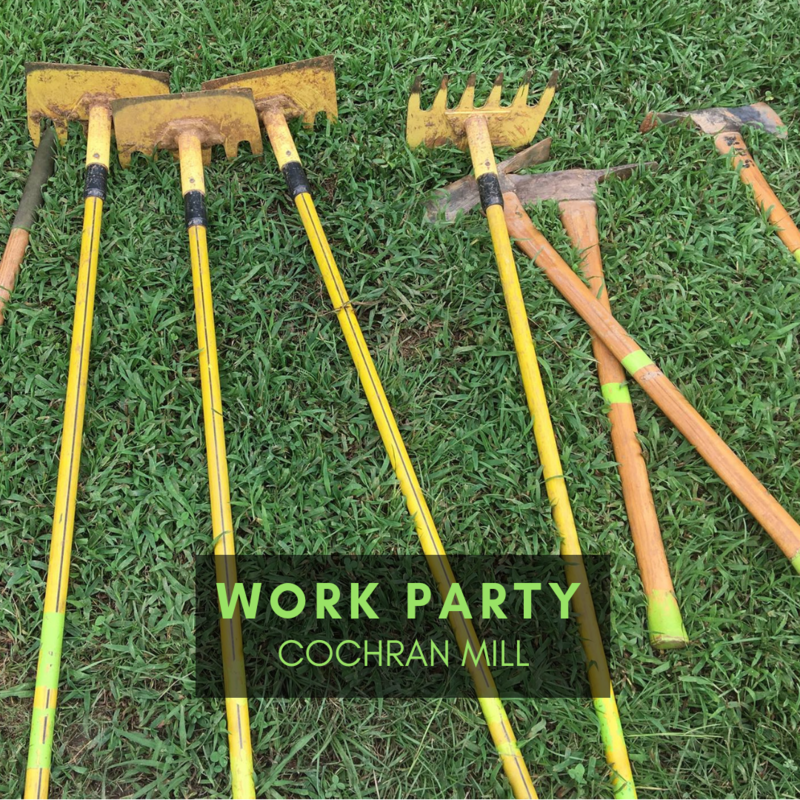 Join us for our monhtly work party at Cochran Mill Park. Meet at the main parking lot at 9 AM. Please wear long pants, closed toed shoes, bring a helmet, gloves, water, snacks and your epi pen if you are allergic to bees. We will see you there!